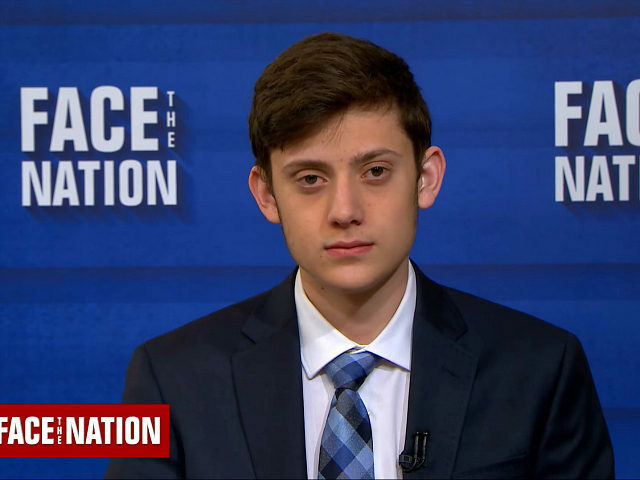 Parkland school shooting survivor Kyle Kashuv, who was not invited to the March For Our Lives rally on Saturday, said Sunday on Face the Nation the government needs to be held accountable for their failure to stop the shooting in Parkland. BRENNAN: Now, you don't necessarily support the march that just happened, but tell me why you're here in Washington. KASHUV: Well, look, I'm here for one very simple reason, I don't want to see this ever happen again. And what I saw at the march yesterday, which really frustrated me, is that I have a differing point of view, but what really concerned me was that how come I wasn't invited to speak at the march because, as Americans, we all have different points of views and it's important to represent them all equally. BRENNAN: And your point of view is, what, you don't agree with the agenda that they're laying out there in terms of restrictions on assault weapons? BRENNAN: And restrictions on high capacity magazines. KASHUV: That won't solve the issue. What we've seen is that there are certain things such as having -- enforcing the regulation that's currently in law. I mean we've seen on so many different levels that the cowards of Broward (ph) failed, the FBI failed, Sheriff Scott Israel failed. So many different multi-layered levels failed in Parkland. And it's absolutely reprehensible that I didn't see one single poster yesterday at the march that said f the NRA that -- no, sorry, that said f Sheriff Scott Israel. BRENNAN: So you are a survivor. You lived through this assault yourself. What do you think would have prevented another student like you from going through something similar? KASHUV: Yes. I don't like to say his name. I prefer not to. He was flagged by the FBI. He was flagged so many different times by the Broward Sheriff's Office. And it's -- we need to see that we have to hold our government accountable, we have to, because this can happen again if our government does not do what it's supposed to do. And I find it ironic that after all this -- and we've seen so many different government failures -- we want to trust the government even more. I wonder why he wasn't invited to speak?? ?